The Young Adult Catholic Community (Age 18 to 39) is a fast growing community in our church. As Knights of Columbus we need to make an effort to minister to and serve this community of young people. These specific age groups, especially those who are single, have a difficult time finding other Catholics to socialize with and be supported in their Faith Journey. As Knights of Columbus we need to develop activities and events that serve them and allow them to have fellowship recreationally as well as through Faith Formation and service to other. Offer to support them in their planned activities. Offer the Knights of Columbus as a source of service for them through your council programs, especially those that involve youth and family. Catholic Young Adult Local or National Organizations. 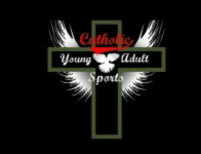 They are several Catholic Young Adult Organizations. Listed are a few. Find the ones in your area and make a connection and see if there are opportunities to partner with them. The Knights are perfect for one of their ministry outreaches. CFC Singles for Christ (SFC) is one of the family ministries of Couples for Christ (CFC). It was founded to cater to the needs of single men and women from 21 to 40 years of age. “Single” refers to anyone within that age group who is free from any legal impediments to marriage. The pastoral care offered by the ministry, though, is not limited to those who are called for marriage, but includes as well those who may be considering either single blessedness or religious vocation as a state of life. CFC-SFC was established in April 1993, when a group of about 40 single men and women, mostly from the Visayas Islands in the Philippines, met for a 3-day workshop in Kalibo, Aklan to talk about forming a ministry for single men and women under the leadership of CFC. It initially aimed to provide a Christian support environment for single men and women who want to follow Christ. However, SFC has taken a more pro-active stance with regard to providing that environment; by making sure that it brings Christ to wherever the singles are -- the corporate setting, campuses, government institutions, even in prison and developing communities. This is in alignment with CFC`s thrust of rapid, massive and global evangelization. We offer a variety of year round recreational sports leagues and free activities for young adults. Our services are not limited to Catholics, singles, or by any other factor, except willingness, physical ability and being 18-39 years old. We are a 501c3 non-profit, and nearly all of our work comes from the help of volunteers, please consider helping us with expansion to other cities and provide long-term sustainability by donating or volunteering (links above under CYAS). You can expect a season game to take place for approximately one hour on a weeknight between 6-10 p.m. or on a weekend. Seasons last 6-9 weeks and tournaments will be held at the end of each season. The champions will be awarded the coveted CYAS champions t-shirt, or other cool swag for repeat winners and have their photo placed on the website until their rein as champions comes to an end. At present, all of our leagues are for the casual level, we have a strict code of conduct, and our goal is that everyone has fun playing. We encourage you to put together your team to have the most fun. You can expect to have the opportunity (not required) for prayer before and after all games, as well as food & drink specials at a close by venue for all league participants. Competitive leagues will be offered as we grow, but until then join us to socialize and PLAY!